Have had this sketched out for a while - it's time I started painting. 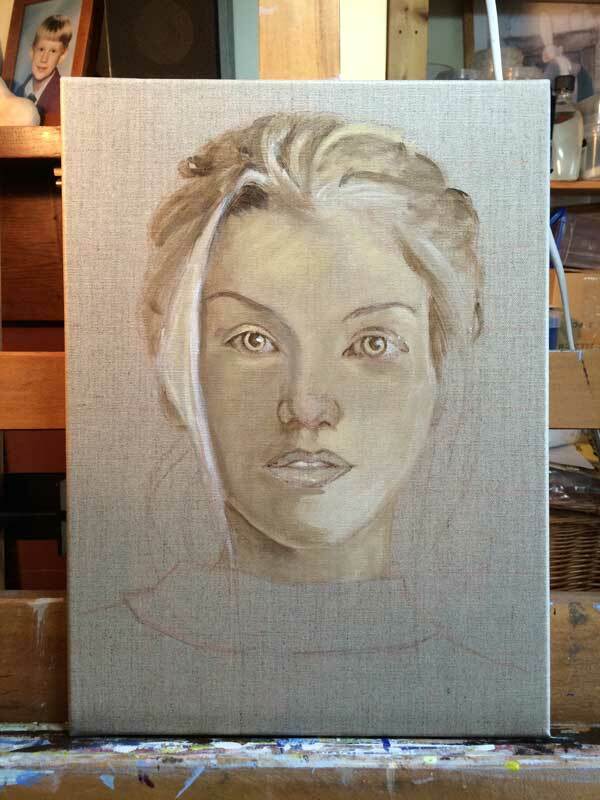 Here's the first stage, the start of the underpainting in acrylic. I'm using raw umber. buff titanium and white. Once this is complete I'll start the colour layers - I'm thinking of painting this in oils. The background is remaining untouched and I may just outline the clothes.